This year’s conference will feature game changing technology trends in the Internet of Things (IoT), Cloud and Big Data, and Cyber Security. Join us at San Jacinto Plaza on Saturday, August 18, 2018 from 4 PM – 11 PM for a great family festival. It will be an evening of great food, great music, and awesome fun- all free for everyone to enjoy! Ysleta ISD and Western Tech present the Back 2 School Expo! We want to treat our KISS listeners to this EXCLUSIVE app contest. Simply download our KISS El Paso app to gain access to the entry form for our Lion King on Broadway VIP Experience. Cool Canyon Nights is back! The concerts are FREE to attend, but get there early because amphitheater space is limited! Eight High School Teams throughout the Southwest Area will be competing in obstacle challenges and will present a team video for a change to win a TEAM Scholarship! It was a VERY close contest, but we finally have a winner. Take a photo of you, on your couch and you could be walking away with a gift certificate you can use for a new couch, but if you want to keep it, don't worry we won't judge. Mike & Tricia Mornings are heading on Christmas vacation! Before they went into hibernation, they wanted to send a very special message to their loyal listeners. We have a bunch of purses spread across El Paso our our various sponsors’ locations. Inside those purses is an amazing selection of prizes! Do you know someone whose heating is going to be inadequate this year? Maybe you can help! Join us at San Jacinto Plaza on Saturday, September 9, 2017 from 4 – 11 p.m. It will be an evening of great food, great music and awesome fun! The Back 2 School Expo returns to Cielo Vista Mall on a Tax Free weekend on Sunday, August 13, 2017. To prepare your body for the bacon deliciousness, you can make your own bacon inspired snack, like bacon fried oreos. For such an epic event, like BaconFest, we need a good soundtrack. Surprisingly some people have been inspired by the deliciousness of bacon and created some catchy songs. If you're a fan of 93.1 KISS FM's Great Purse Giveaway, you're going to love this contest. Because what goes best with a great purse? Shoes! It's tiny. It's shiny. It's powerful. 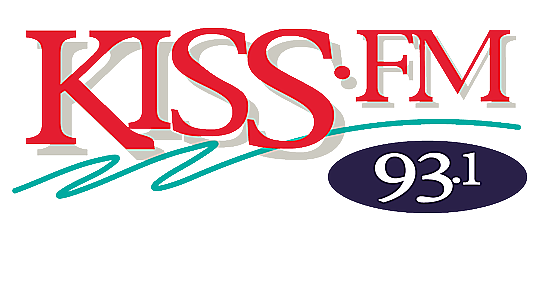 It's the absolute best and quickest way to get everything 93.1 KISS FM in one place. Download our free app today!